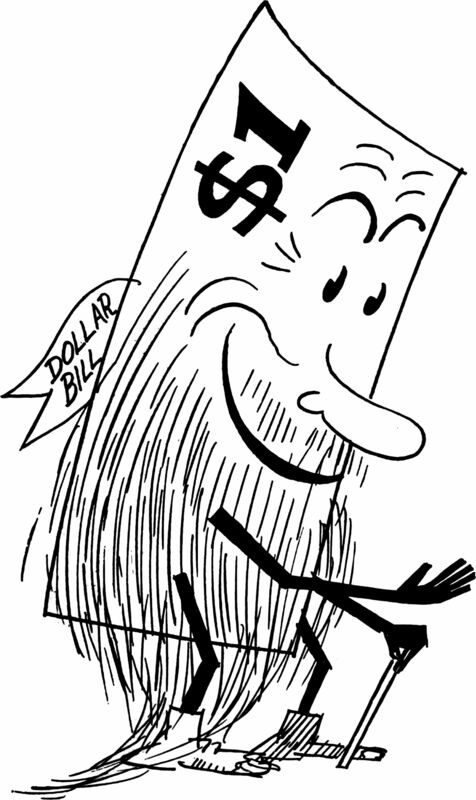 Here's a dollar bill that fell asleep for five years and grew a long beard. The artist was worried that "$1" wasn't enough to identify the bill, so he added a "Dollar Bill" banner. From The Saturday Evening Post, 1920. 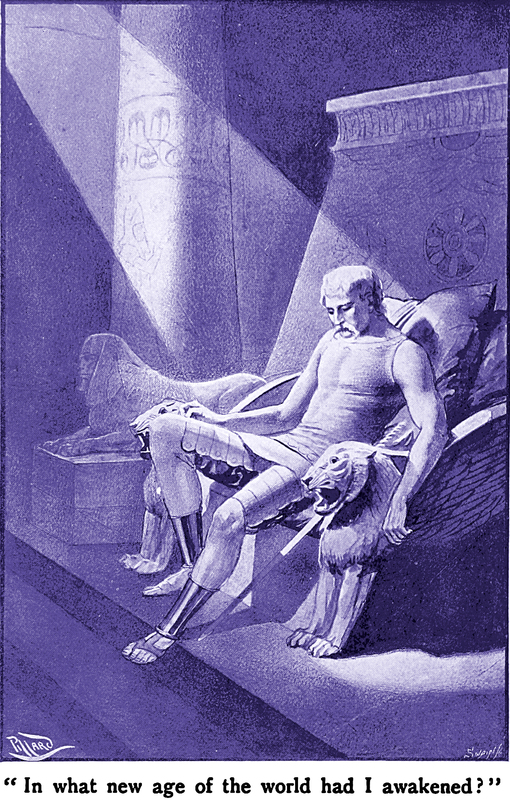 "In what new age of the world had I awakened?" 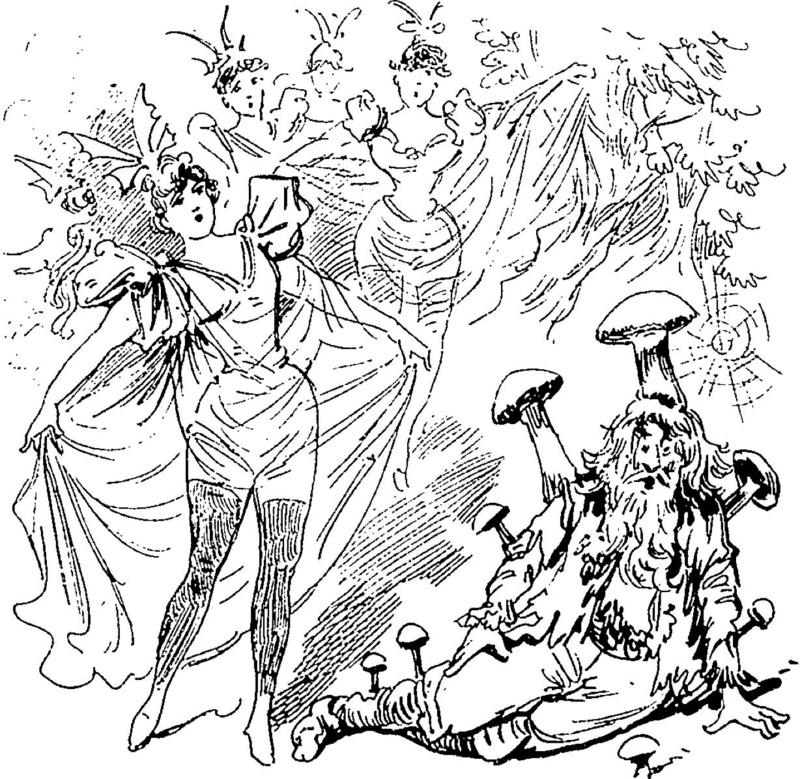 From Valdar the Oft-Born: A Saga of Seven Ages by George Chetwynd Griffith Jones, 1895.